Best eBook reader apps: Books always play a very significant role in our lives. They say that “when you open a book, you open a new world”. Books not only help up to gain knowledge but also act as a companion to pass off idle time. For some people, a book is just like a best friend who will always be by your side. Apart from knowledge, books also provide helpful advice, life lessons, and much more which helps us all immensely in our daily lives. But, in this digital era, books are slowly getting replaced by eBooks which is an electronic version of a printed book that can be read on a computer or smartphone. These eBooks have made our lives a lot easier as they come with a number of advantages. In order to read these eBooks on our smartphones or tablets, we require some specific apps called eBook reader apps that are easily available nowadays. 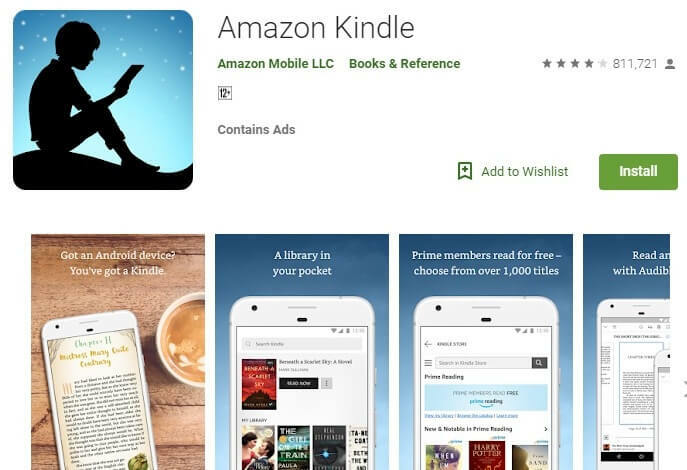 These apps allow you to download any eBook of your choice and start reading them instantly on your smartphones. If you are an avid reader then you got to check out the best eBook reader apps that we have listed below. After sorting through a whole bunch of applications, we have listed out some of the best eBook reader apps for both Android and iOS users. These applications will allow you to read your favorite eBook on the go right on your smartphone or tablet. While most of these apps are free to use, some of them have a pro version with added features and functionalities. We begin our list with Amazon Kindle which is one of the best eBook reader apps for both Android and iOS devices. The app has one of the largest collections of eBooks on the internet. Apart from that, it also offers a great reading experience to the users with cross-device syncing support and a large collection of free eBooks to read. The app also provides multiple customization options with offline downloading of books if required. The app is available for free on Google Play and Apple App store. 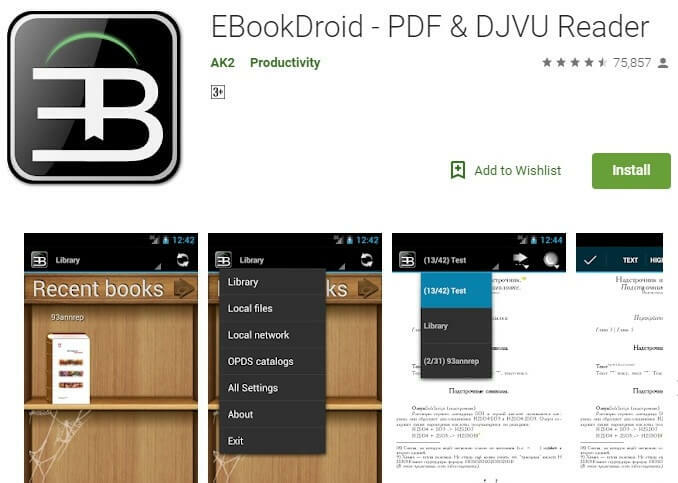 EBook Droid tops the list when it comes to the best free eBook reader apps for Android. It supports multiple file formats of eBooks like PDF, XPS, fb2, CBR, DJVU, EPUB, MOBI and more. One of the best aspects of this app is that if does not show any kind of ads in spite of being free. In addition, the app also has a separate dictionary, text highlighting feature, free-hand annotations and more. 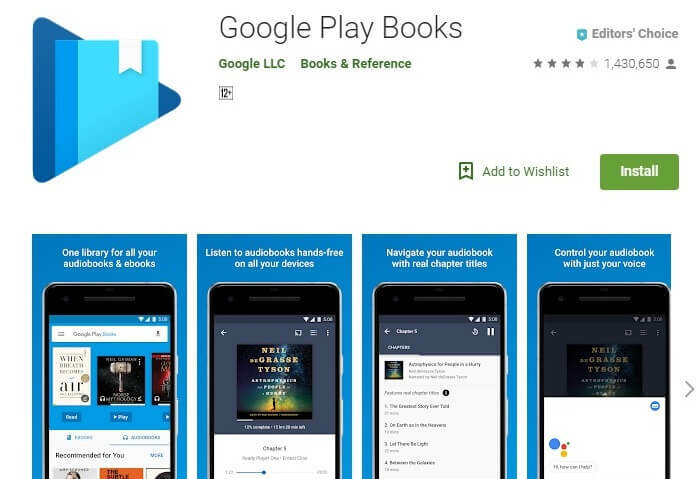 Google Play Books is another very popular book reading app which has been developed by Google. The app boasts a vast collection of over 4 million eBook that can be purchased or rented. 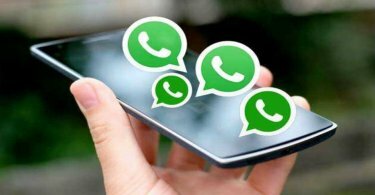 The app offers multiple customizations and features like different reading modes, text to speech settings, sync on multiple devices and more. This app is available for free download on Android and iOS devices. However, you need to provide your credit or debit card details for reading books using this app. 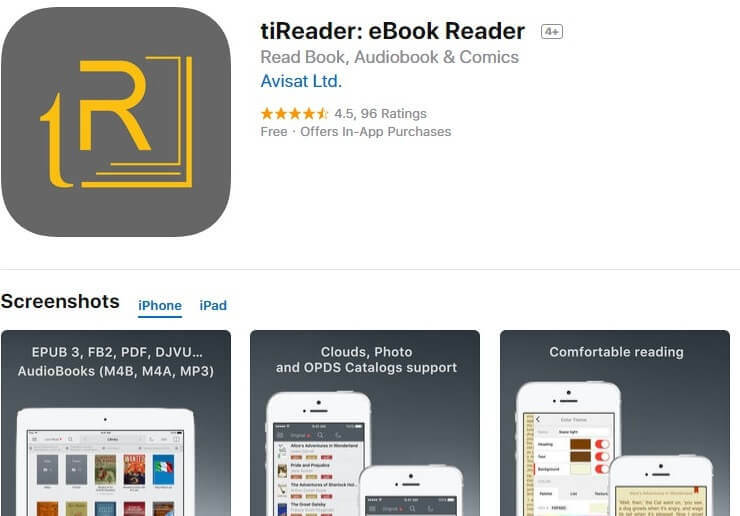 Next up, we have tiReader which is clearly the best eBook reader app for iOS considering the vast number of features it boasts apart from the basic book reading functionality. 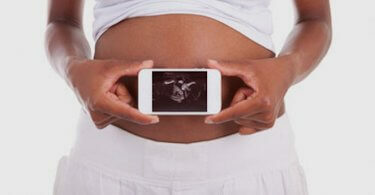 The app includes a media viewer with annotations support that will allow you to seamlessly view photos as well. In addition, it supports DJVU file format with bookmarks and annotations and also includes an audiobook player. It features an uncluttered user interface with built-in connectivity with third-party eBook libraries. 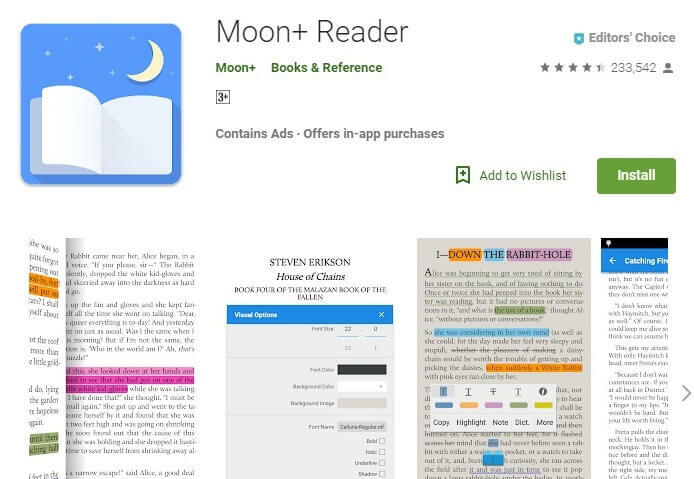 Moon + Reader is another great eBook reader for Android devices that provides fine control over display settings to suit your needs. The app comes with a status bar that can track your reading progress and display it on the screen. The app can also provide information about your reading progress for the whole book. Apart from the free version, there is also a pro version of this app that boasts additional features like the total number of books in your shelf, pages turned and the total reading hours you have spent on the app. 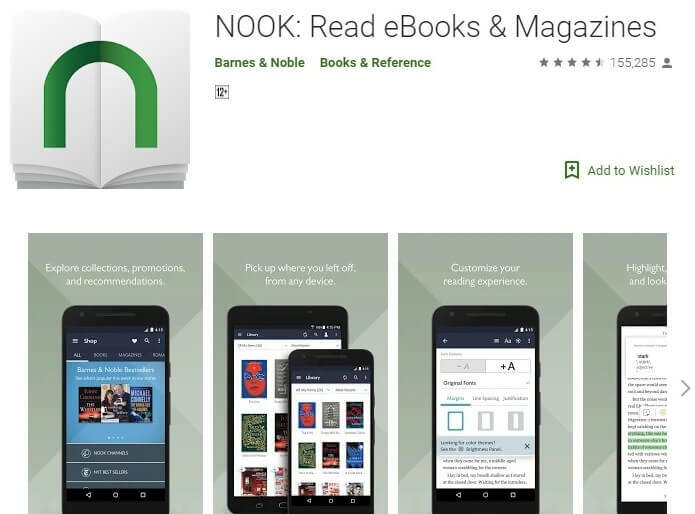 Developed by Barnes and Noble, NOOK is a top rated eBook reader app that offers a huge collection of over 2 million books, magazines, kid’s books and newspapers as well. The app supports multiple device synchronization which means you can read a part of a book on one device and start over the leftover portion in another device seamlessly. In addition, you can also adjust the brightness level to read books even in low light environments especially at night. NOOK is available for free on Android, iOS and Windows platforms. 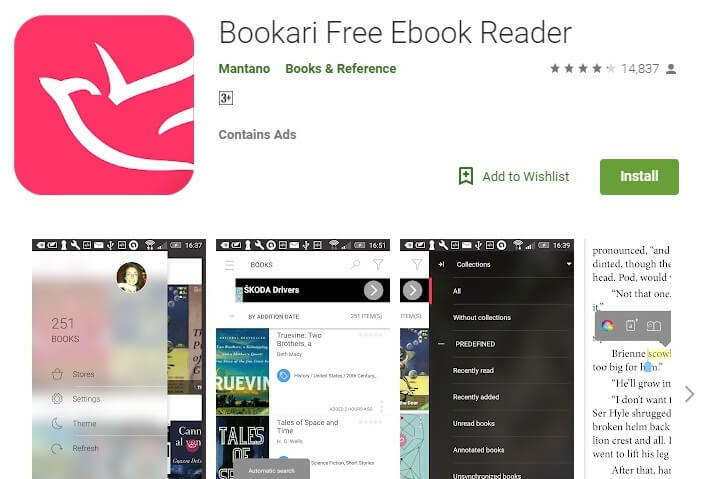 Formerly known as Mantano Reader, Bookari is still one of the most preferred eBook reader apps. Available on Android and iOS platforms, it features cross-device syncing and also allows you to buy eBooks directly from the app itself. The app supports the most popular eBook formats like pdf, EPUB2 among others. While the free version of the app comes with ads, there is a pro version that does not contain any ads with some added features. If you are really fond of reading eBooks on your smartphone, then you should try out these applications from our list of the best eBook reader apps if you still have not. Let us know in the comments which one you found the best of the lot. Also, if we have missed out on something, let us know using the comments section below.